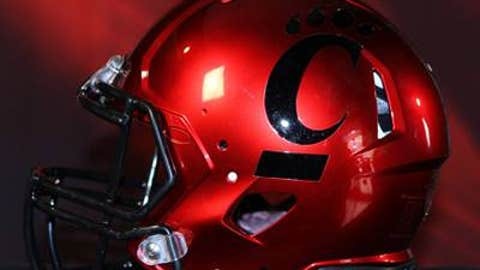 The Bearcats will take the field in Charlotte wearing a red chrome helmet with black C-paws and a claw mark stripe. UC worked with Hydro Graphics Inc., an Oregon based water transfer printing facility which utilized its proprietary HydroChromeÂ® system of finishing to create the unique design. The new-look helmets are available for purchase by fans for a $1,000 special contribution to UCATS, the proceeds of which will be earmarked for enhancements which will benefit all 18 varsity sports.